Zomato, a leading global restaurant search and discovery app has announced that they have extended their online food ordering service to 14 Indian cities including Delhi NCR, Mumbai, Bangalore, Hyderabad, Chennai, Pune, Kolkata, Lucknow, Ahmedabad, Indore, Chandigarh, Kochi, Jaipur and Coimbatore. ‘Zomato Order’ was launched in April this year and was available in Delhi NCR region only, but now has been extended to 13 more cities. Zomato claims to have partnered with over 10,000 restaurants in these 14 cities where customers can place food delivery orders. Zomato Order is a separate app from their main Zomato restaurant review and ratings app and was so far only available for iOS and Android devices. Now, they have now launched Windows Phone app app as well, much to the delight of Windows phone users. We tested the app in Pune, and the experience was quite pleasing. 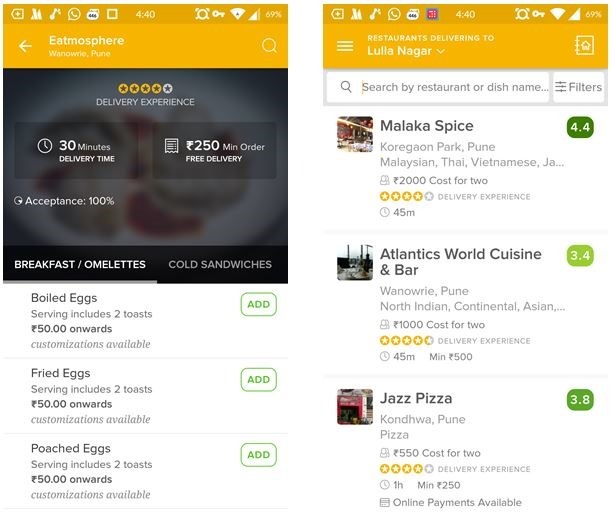 What differentiates Zomato from other online ordering apps is that they have been able to integrate the restaurant ratings from their main app into Zomato Order, so customers get a neutral view on food quality before ordering. Zomato Order also functions differently from regular apps in the sense that they do not track or verify the online orders for food, rather iPads given to the restaurants would be the direct link between Zomato and restaurant owners for tracking and fulfilling the online orders. Digitized menus for thousands of restaurants to order from. Name and location search, to see places that deliver to your location. Address book to save frequently used locations to order food even faster. Order status tracking with messages and notifications. Order History and quick re-order for saved/favorite orders. On an average, Indians spend 30-40% of their monthly disposable income on restaurants and food. Sunday is the most popular online ordering day. Users are, however, conscious of the average spend on food. ~75% of the people look in the Rs. 500 – 1000 CFT (Cost for Two) category, which indicates that Indians largely search for affordable places to eat at or order in from. Pizzas are the most commonly ordered dish in the evenings, with Chinese food a close second. 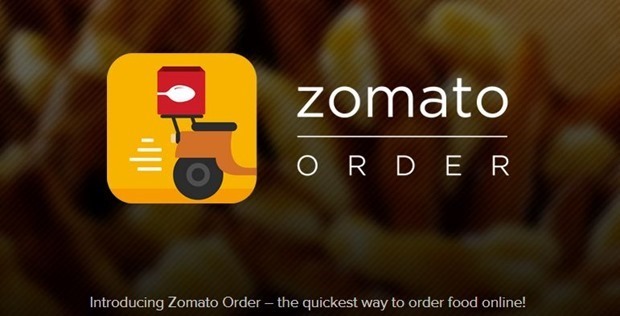 So, next time you want to order food from outside, do give Zomato Order a try and let us know your experience. "Zomato Online Food Ordering Service Extended To 14 Indian Cities; Windows Phone App Launched", 5 out of 5 based on 1 ratings.